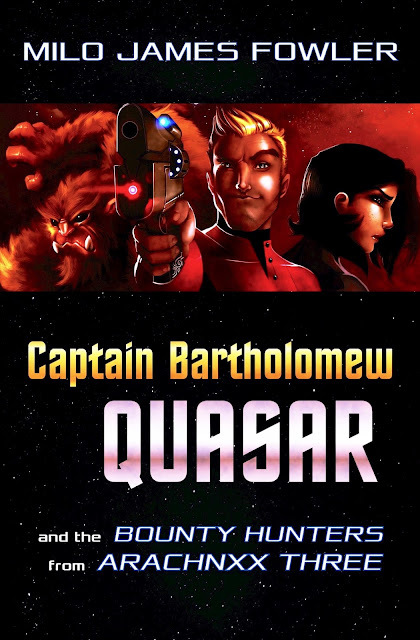 Captain Bartholomew Quasar and the crew of the Effervescent Magnitude are on their maiden voyage -- and on the run from dangerous bounty hunters eager to collect a reward on the captain's head. Just when Quasar thinks he's escaped them, his ship is stranded in the middle of a heated civil war in an unknown corner of the galaxy. This is Bartholomew Quasar's first novella-length misadventure, and it takes place early in his career as captain of the Magnitude. Fresh out of space dock, and he's already in plenty of trouble. For those who've read the novel, this tale provides the original account of how Quasar and Hank first met before all those space-time displacement shenanigans started wreaking havoc with the timeline. For readers new to Quasar, this stand-alone tale acts as a solid introduction. And for those of you who've been following the captain's adventures since the "If Only Elixir" way back in 2010, this rollicking, action-packed, humorous dose of space opera is what you've come to expect from Quasar & Crew -- with plenty of surprises along the way.